After months of negotiation between the state legislature and governor’s office, New York Governor Andrew Cuomo has recently signed into law a bill that provides more time for medical malpractice victims to pursue a claim for damages against the medical professionals and facilities responsible for their injuries. The legislation, known as “Lavern’s Law,” was inspired by a tragic true story of a medical mistake that turned fatal. Learn more about the story behind the law below, as well as the ways that the changes in the law could benefit you and your family, and contact a skilled Manhattan medical malpractice lawyer with any additional questions. The newly-passed law was named after 41-year-old Bronx resident, Lavern Wilkinson. Wilkinson, the single mother of a developmentally-delayed daughter, originally sought treatment at Kings County Hospital for severe chest pains in 2010. The results of a chest x-ray showed a 2-centimeter mass on her lung, but the radiologist failed to notify Wilkinson of the mass, nor did they recommend any further treatment or advice. Later analysis of the x-rays revealed that the mass likely indicated a treatable form of lung cancer. However, the cancer was allowed to grow unchecked for years, closing the window of opportunity that Wilkinson had at the time of its discovery to treat it through surgery. Wilkinson returned to Kings County Hospital in 2012 with a chronic cough. Doctors then discovered that the cancer which had started in her lungs had metastasized to her brain and spine, and told Wilkinson that she had six to twelve months to live. Wilkinson also learned that she had no right to file a claim against Kings County Hospital for the egregious error, since the 15-month time limit to file a lawsuit against a municipal hospital for a missed diagnosis had already expired. Wilkinson passed away in March of 2013. Five years after her death, New York law has finally changed so that patients like Wilkinson have an opportunity to receive justice after diagnosis errors. Previously, patients who were the victim of missed cancer diagnoses had 2 ½ years to file a claim against the physician responsible (and only 15 months if the physician was at a municipally-run hospital). Under the recently-enacted law, patients with cancer or malignant tumors now have 2 ½ years or 15 months from the date that the patient knew or should have known of the missed diagnosis to file a claim, so long as the claim is filed within seven years of the error. 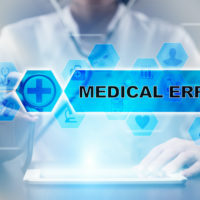 This provides a much greater opportunity for victims of malpractice to seek well-deserved compensation for an error that may have shaved years from their life expectancy. If you or a loved one has been the victim of a missed diagnosis in New York, get help seeking the compensation you’re owed by contacting the skilled, effective, and dedicated Manhattan medical malpractice lawyer Leandros A. Vrionedes for a free consultation at 212-889-9362, or in Queens at 718-777-5895.